Evanann Whitaker-Woodcock (’17) is a black belt with a passion for entrepreneurship who aspires to make a difference for abused women. She is a motivated student majoring in business with a concentration in entrepreneurship and innovation, and a minor in English. Whitaker-Woodcock dreams big — in addition to her goal of owning her own business someday, she wants to use her certification in yoga instruction and her martial arts acumen to teach classes to women who have been abused. She was inspired by her experiences volunteering at the women’s shelter in Spokane. She credits Gonzaga for helping her to transform herself over the past four years, and is grateful for the scholarships that have made it all possible. She feels confident and in control of her own future, comfortable in her own skin and proud to be the woman she has grown to be. 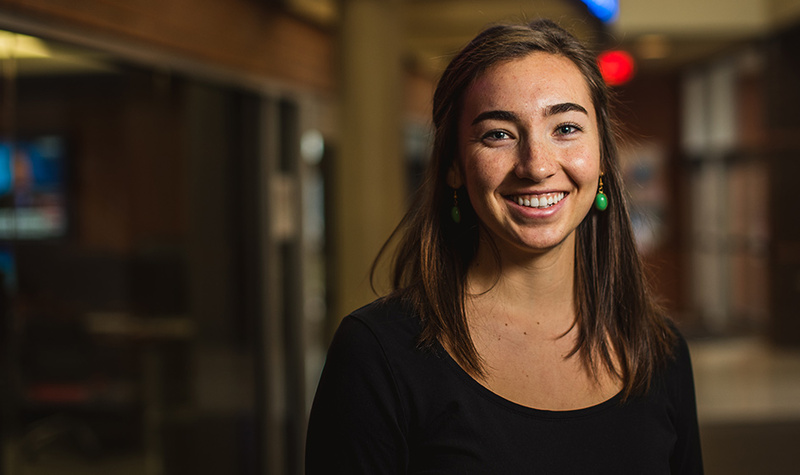 Whitaker-Woodcock looks forward to putting her gratitude into action and helping other Zags to have the same phenomenal opportunities she has. Make a scholarship gift today and have in impact on Zags like Evanann and through them, the world.